What are the two most important events in a woman's life? Without a doubt, those two life changing moments are getting married and having a baby! I know that I will never forget my wedding day or the birth of my two beautiful children. Their tiny little fingers and toes, and adorable clothing are a few of my favorite things about babies. One must-have item for babies are onesies! Baby onesies are simply amazing and great for all types of weather. When the weather is cold, put them on under babies clothes as an added layer of warmth. In the hotter months, baby can wear a stylish baby onesie all by itself. As an added bonus, they help keep baby's diaper snug and in place! Wordsation designer onesies are 100% cotton rib knit with three reinforced snap closures. They are also super soft and comfortable against baby's skin. Looking for the perfect baby shower gift? Wordsation features new onesie designs each month that can be purchased individually or as a year long subscription as baby grows. Being Frugal and Making it work Reader's can enjoy 20% off their order. This great offer expires 8/31/12. This giveaway will end August 3rd at Midnight EST. Disclaimer: I received a complimentary baby onesie from Wordsation for the purpose of writing a review and hosting a giveaway. Regardless, I only recommend products or services I use personally and/or believe will be a good fit for my readers. The views and opinions expressed on this blog are purely my own. Results may vary. No monetary compensation was received. I like the Hello collection or the teat time collection, so cute. I like the Blue Teapot Onesie by Amanda Nunes Classic. 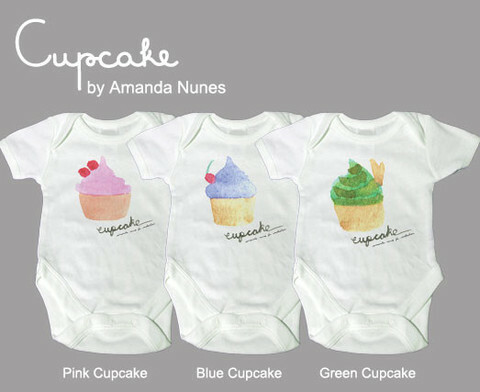 I like the Cupcake Onesie Collection best! I like the Hippo Friends Onesie by Alli Arnold Classic. If I had to pick one, it would be the Penguins (Share) Onesie by Alli Arnold Classic..but I saw one with a teapot; they are all so cute! I love the Dandilion girls and the Green Cupcake. Thanks for the cute giveaway! I like Heroes Onesie Collection by Katherine Streeter Classic. I love the alligator onesie!